Another great show by even better designer. Vera Wang is famous for her wedding dresses, but she does so much more. And she does it well! 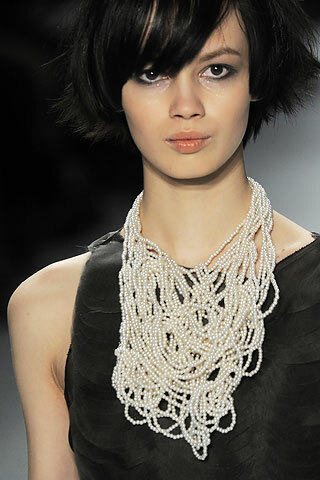 Her latest AW’10 collection was feminine and powerful and I mostly loved the accessories. 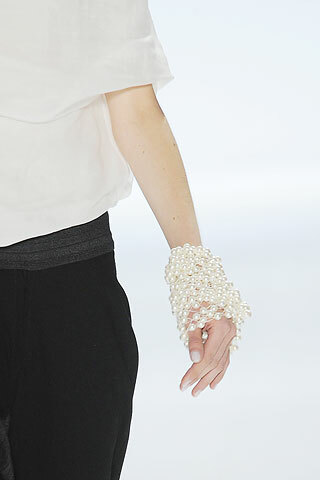 I’m mad for pearls and these necklaces and bracelets are to die for!